Often an inspection systems resolution is perfect for automated feature detection, but an operator may need to see some items in more detail or have a different view. ImageFlow supports the integration of a simple matrix camera as a viewing option. The example below shows how one was added to a printing press so operators could view tiny register marks in more detail. Printing labels is a demanding task. OneBoxVision has released a new tool simply called the Label Wizard. This tool contains label detection and die cut matrix inspection. Other advanced tools, such as Print Inspection, Color Measurement and Label Counting use the information from the label wizard to optimize their results. Now a system integrator and OEMs can use this suite of algorithms to build advanced but cost effective label inspection systems for the narrow web printing market. Just released online color monitoring for printing applications in ImageFlow. Now an operator can define multiple points on a job and measure the LAB value on each and every repeat. The converting factory normally starts with a substrate. This can be paper , film, foil or sometimes a non-woven. More often than not it’s plastic film. Our ASIX technology is designed to inspect rolls or sheets of plastic. Usually a converter will pass the substrate through some other value added process, whether it’s printing, laminating, perforation or pouching. Sometimes it can be all of them. ImageFlow 6.0 just got released. It's full of great new features with an updated 100% print inspection solution for flexible packaging. We have added three new algorithms. one designed to detect streaks and splashes, one designed to detect low contrast defects such as hazing and the final one to detect color deviations and missing print. Imageflow 6.0 with printed film inspection for flexible packaging. ImageFlow includes the 3 in 1 package for 100% print inspection on flexible packaging. The solution supports all commercial cameras and LED lights, enabling converters deploy high performance solutions at a lower cost with reduced risk. ImageFlow can be deployed for film inspection on any printing press, slitter, laminator or rewinder. The 3 concurrent print inspection algorithms are optimized to automatically deal with stretch , metallic inks and clear film. When people talk about Pantone colors, usually they're referring to the color specified in the Pantone Matching System (PMS). This is a proprietary, standardized color system used across many industries in manufacturing, which describes colors by an allocated number (e.g. “PMS 125”). The Pantone system is the standard language for color communication from designer to manufacturer to retailer to customer. 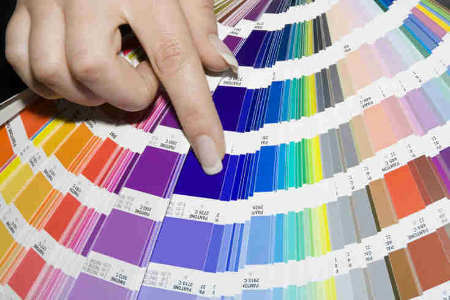 The word “Pantone” comes from the company that invented the system, Pantone Inc. The Pantone system is now largely accepted and relied upon by printers, manufacturers, marketers, artists, designers and others.